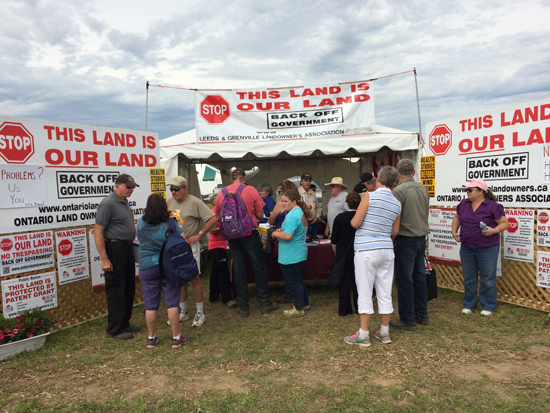 Last week, Marlene and I joined a great group of people from southwestern Ontario, to meet and greet people at the Ontario Landowners tent at the International Plowing Match, just west of Harriston. It was a great experience, with hundreds of people coming to the tent to find out what we were all about. Some people knew what the OLA stood for and offered us more encouragement to continue, but others came in with horror stories involving some agency of the government wondering what we could do to help them. 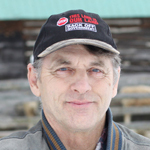 Bob Weirmeir of the Saugeen Regional Landowners was front and centre all five days and presented a wealth of information for those seeking it. Liz Marshall was there for a long four days, explaining to the crowd, what the laws of this province really say. Many thanks to Irma DeVries for all her help organizing the whole event with the IPM and making sure everything was ready for the setup on Monday. Irma also spent five days helping people who came to the tent to get info, magazines and also to talk politics. We were very pleased to meet Vaughn and Merla Johnstone who approached us on Monday and asked if they could join our tent to ask people to sign their petition against the Niagara Escarpment Commission (NEC) that has announced another round of expropriation of private property, without compensation in Grey County. Don Johnson from the Hamilton Halton landowners, Dave Hemingway from the Huron/Perth landowners and Mark Tijssen from the Dufferin landowners and many other landowners from the area that came to help, made the week a great success and I truly thank them all for their support and help.